Organisers of London Cocktail Week (LCW) have revealed the full list of partnering bar venues ahead of this year's drinks festival (6-12 October). More than 250 bars and restaurants have signed up to take part in ‘Cocktail Tours’ for the week-long festival. The venues will create a bespoke £4 cocktail for guests in possession of an LCW wristband. Alongside independent and boutique bars, companies such as Be At One, Fifth Floor at Harvey Nichols, Grand Union and Las Iguanas have announced their support, as well as Jamie Oliver’s Barbecoa, Diner, Fifteen and Secret Basement Bar outlets. The event promises more than 170 events including tastings, masterclasses, pop-ups and parties. 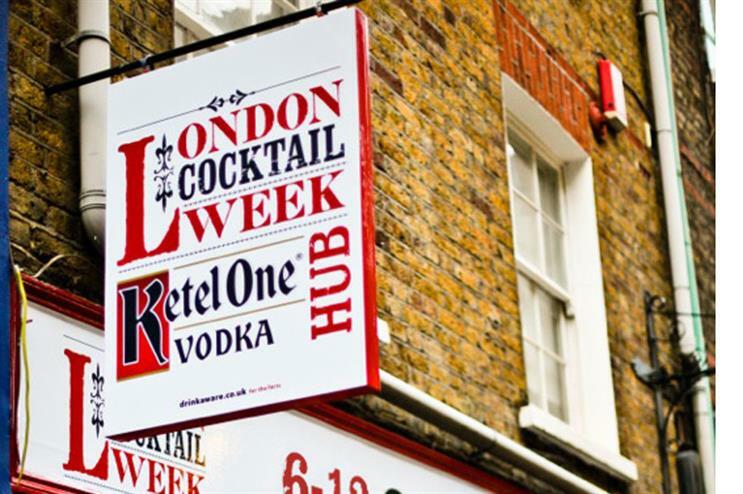 Headline sponsor and vodka brand Ketel One will launch a pop-up ‘hub’ within Seven Dials, Covent Garden, which will act as the main wristband collection point. The West End area will also host LCW’s Shop and Sip activity, where local stores will team up with sponsors to create unique retail and drinks events. Belvedere Vodka, Cointreau and Tanqueray make up the rest of the event’s headline sponsors.